You know you are missing home when you spend the whole weekend making and eating food from home! Last weekend, I literary survived on Maandazi and Masala Tea, I ate them for breakfast, lunch and dinner on Saturday and Sunday (totally a balanced diet 😂). I am yet to master the art of making yeast expand dough, so, my maandazi didn't rise as well and as much as I wanted them to. A good andazi has that airy inside very soft and bread like. I obviously didn't get that full bread-like inside judging from how compact the pieces look, however, they still tasted like I made heaven edible. Disclaimer, these little suckers are addictive 🙈😂 so make as many as possible. Dissolve yeast in ¼ cup coconut milk in your mixing bowl. Cover with a plastic wrap until the yeast rises (should take 5-7 minutes or so). Add into mixture the sugar, 1 tbsp oil, cardamon and mix. Add flour into mixture and mix. Gradually add the remaining coconut milk. If it gets too soft, you can add flour a little bit at a time if it’s too hard you can add coconut milk or water a tbsp at a time. On a flat floured surface, continue to knead the dough for 10 minutes until it becomes elastic. 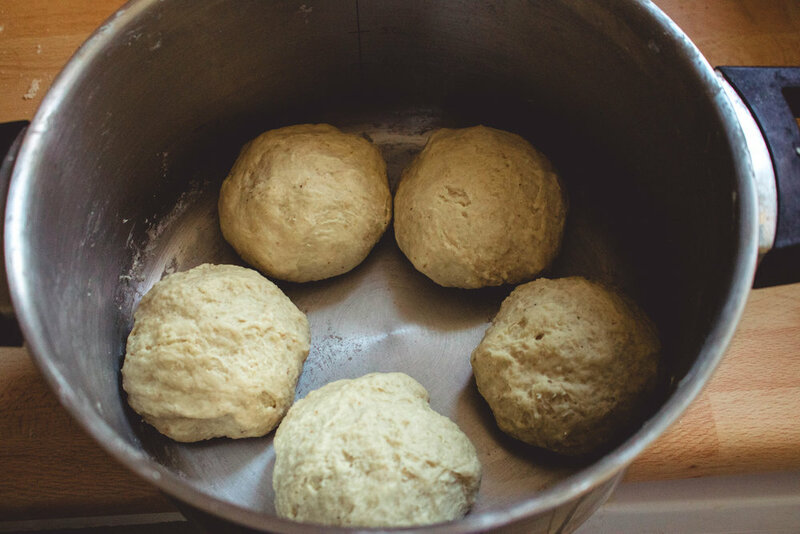 Move the dough to a clean lightly oiled bowl, cover with a clean cloth and let it rise. 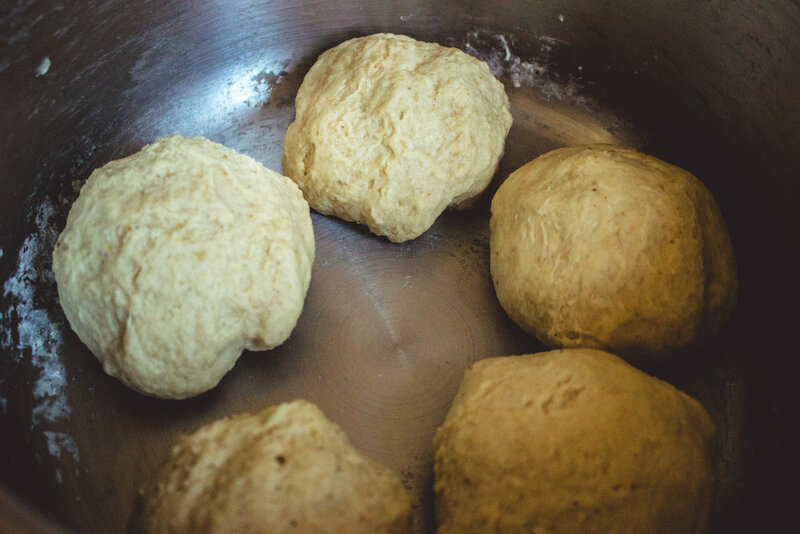 Once it has doubled in size, knead the dough for an additional 2 minutes. With a rolling pin, roll the dough to about 1/2 cm thin. Use a round cookie cutter or a similar utensil to cut the dough into regular shapes. Deep fry in vegetable oil until golden brown. 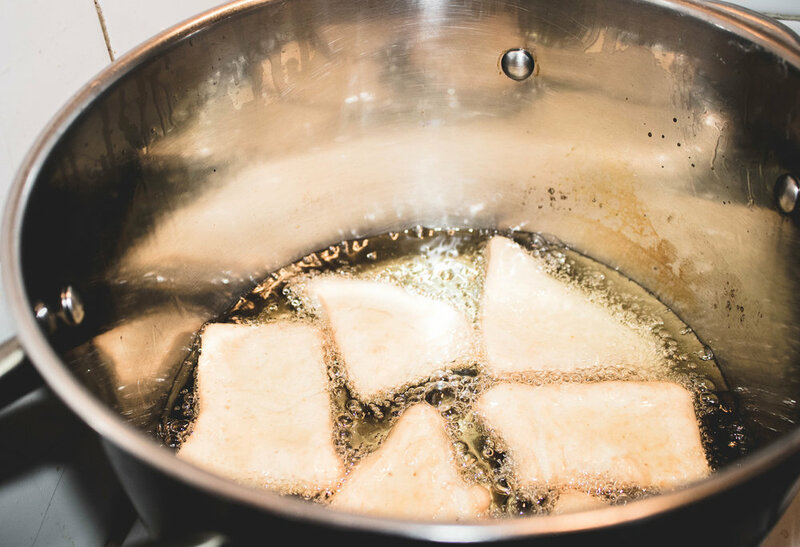 When done frying, keep your maandazi in a paper towel to drain any excessive oil. When they have cooled it’s better to put them in a tight container or plastic to stop them from becoming hard. Voila! Go on and feed yourself gorgeous young lad!